Made with 3ds Max, Photoshop and Crazy Bump. 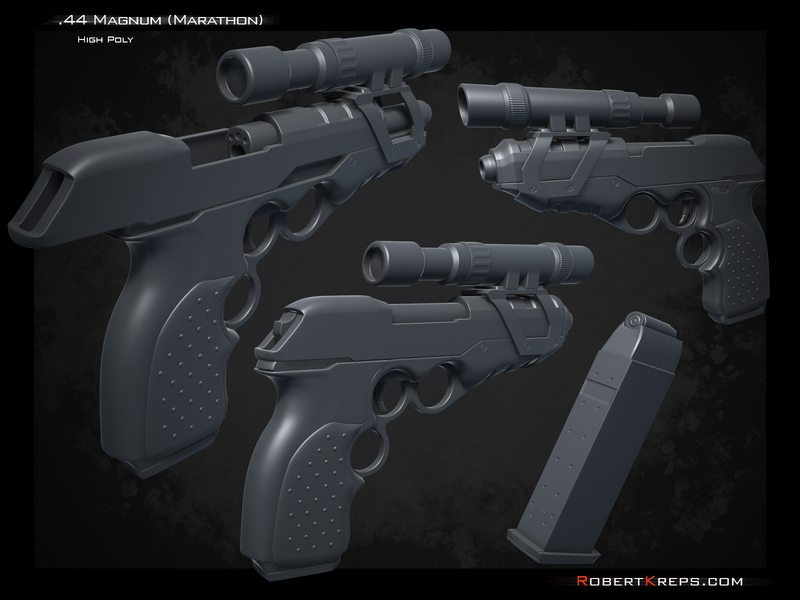 This weapon is a redesigned version of the .44 Magnum from Bungie's classic shooter Marathon. 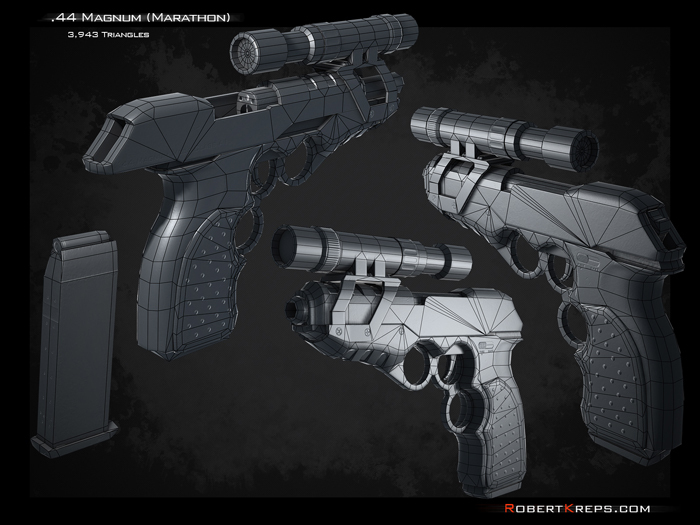 This was the first weapon that I created that was based on my own conceptual designs as opposed to real life reference. 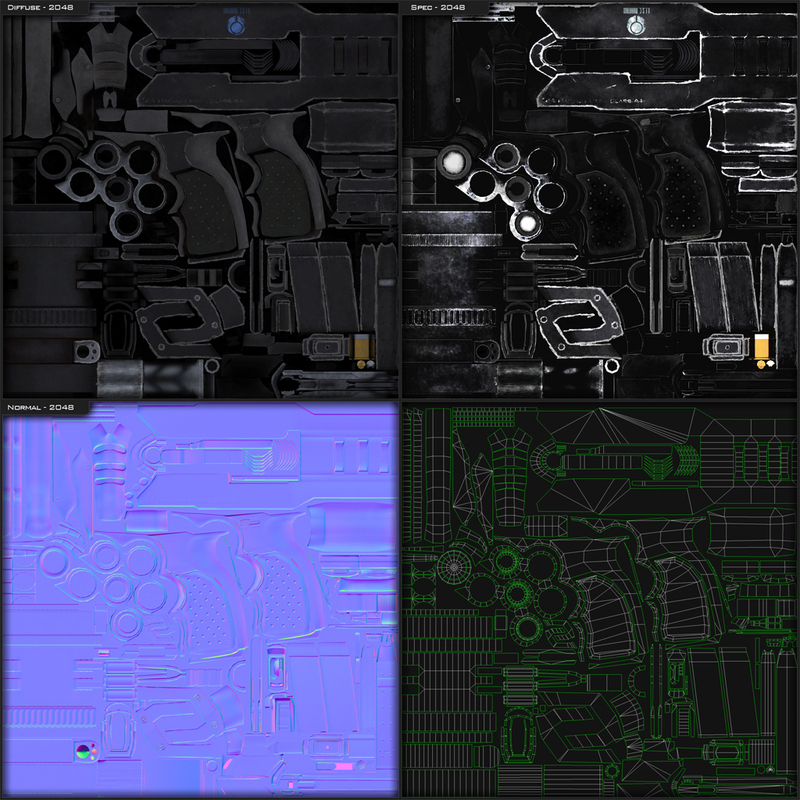 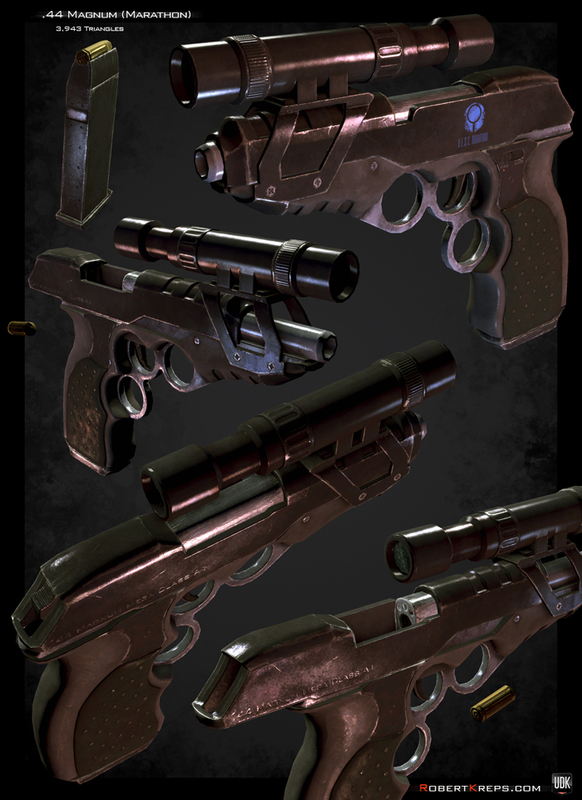 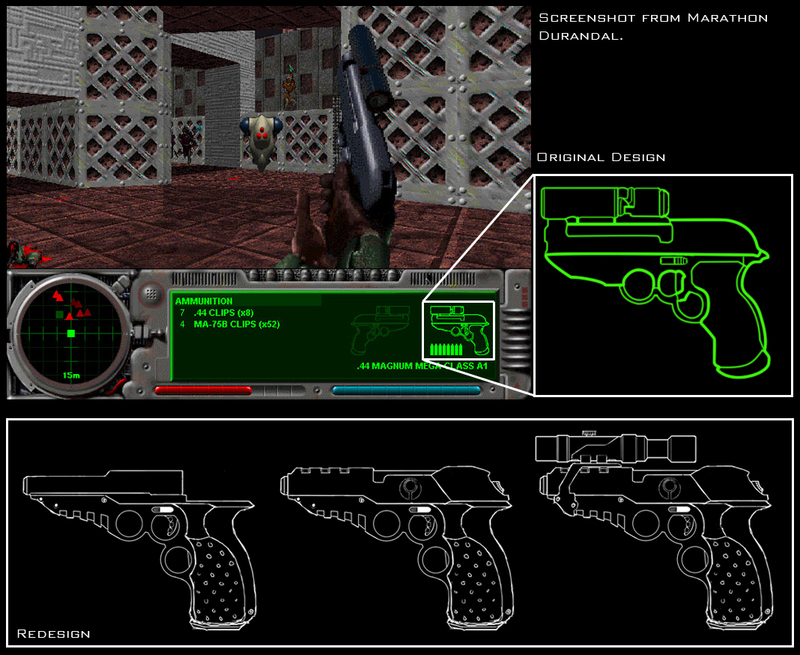 This model became a fully functional weapon inside of the UDK, including first person animations.